The clouds are gathering, with Microsoft software supremo Ray Ozzie announcing the availability of the Windows Azure cloud computing platform at the Microsoft Professional Developers Conference (PDC) in Los Angeles. New and updated offerings include Microsoft Pinpoint, an online marketplace for partners to market and sell applications, and Microsoft Codename "Dallas", a technology preview built on Azure that enables developers and users to access premium commercial and reference datasets and content on any platform. These databases include content from Associated Press, Citysearch, NASA, National Geographic, the United Nations and Weather Central Inc, potentially kick-starting a new generation of data-rich consumer services. It's all part of Microsoft's "three screens and a cloud" vision, where software experiences are seamlessly delivered across PCs, phones and TVs, all inter-connected by cloud-based services. 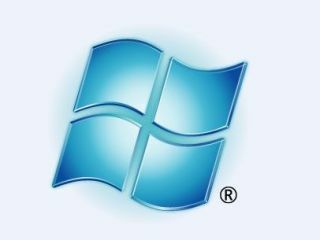 Microsoft hopes to provide the technology platforms upon which new commercial and entertainment services will be built. Microsoft also announced a bunch of developments tools, such as AppFabric for building composite, scalable applications that span both traditional servers and cloud systems. The end result for web users should be faster, more reliable services that can easily respond to increased demand - the days of streaming news sites crashing on busy days, for instance, could soon be over. The new 'Dallas' service is being used on NASA's new Be A Martian website, that gives users the chance to view and interact with hundreds of thousands of images gathered over decades of exploration on the Red Planet. As well promoting spaceflight and pumping up waning public interest in Martian exploration, the website aims to be a crowdsourcing tool that will "tap visitors' brains" and help the space agency process volumes of Mars images.